Postcard JP-531477 from Japan shows the East Temple (東寺) in Kyoto, Japan. It is famous for the five-story pagoda with layered tower, dated from 796, as the tallest wooden tower in Japan at 54.8 meters. 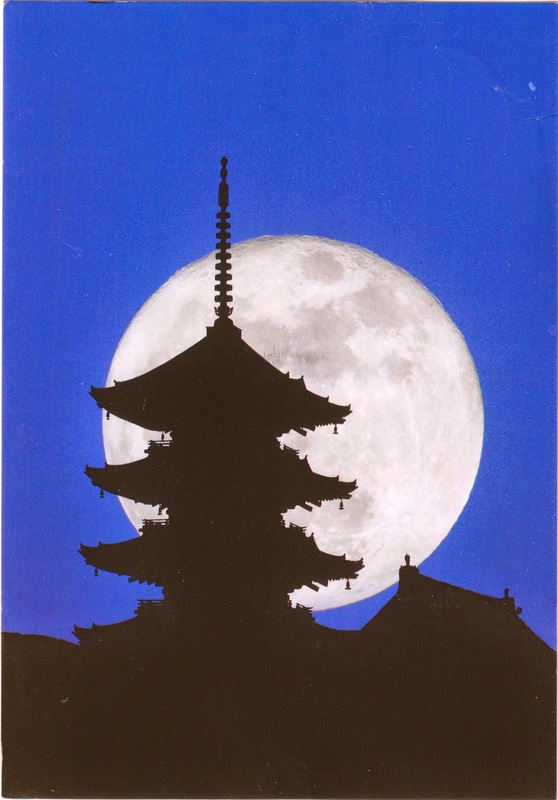 The pagoda has been a symbol of Kyoto. It is part of the "Historic Monuments of Ancient Kyoto" World Heritage Site recognized by UNESCO.